A former adviser to Alex Salmond has been selected by the SNP to contest the North East Fife seat in the forthcoming Westminster elections. 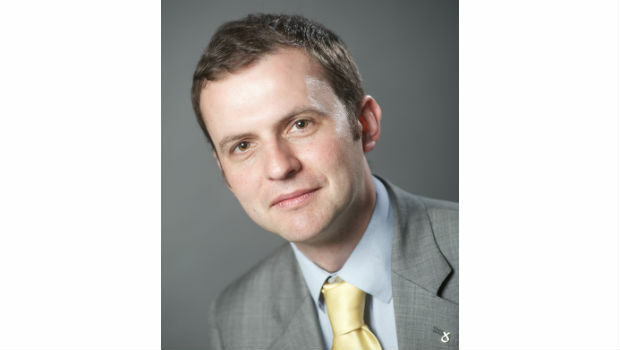 Stephen Gethins currently works as an international development consultant and was previously a Special Adviser to the then First Minister on Rural Affairs and International Development. Mr Gethins was selected to be their candidate after a ballot of the SNP’s 1,300 members in the seat. Mr Gethins has worked in conflict resolution in a number of areas including the former Soviet Union, former Yugoslavia and on democracy projects in Africa. He has worked for a number of organisations including Beyond Borders Scotland, Saferworld Scotland Europa and Caucasus Links. He is currently the Chairman of the Board of Advisers on the Scottish Global Forum. As well as being a Special Adviser in Government, he was previously the SNP’s Head of Office in the House of Commons. Stephen was also an SNP candidate in May’s European elections and is married with a baby daughter. Respected local MP Sir Menzies Campbell has announced that he is not going to be standing for the Liberal Democrats this time around, which leaves a very interesting contest for the seat. On current opinion polling, it appears to be one that the SNP stand a decent chance of taking. SNP insiders also point to the fact they won the equivalent seat from the Liberal Democrats at the last Scottish Parliament elections, seeing Rod Campbell elected as the MSP on a 16% swing from Lib Dem to SNP. The Liberal Democrats have turned to local councillor Tim Brett to defend the seat. Cllr Brett was chosen in March of last year and is a former Chair of Fife Council’s Social Work and Health committee (2007-2012) as well as having held senior management positions in the NHS, notably Chief Executive of Ninewells Hospital in Dundee. The Labour Party candidate for North East Fife is St. Andrews Cllr Brian Thomson. His background is in project management and town planning. As well as his Councillor responsibilities, he also works for the University of Dundee’s estates and building department. The Conservative candidate is Huw Bell, a former RAF officer based at Leuchars. He is also a former policy advisor for the Conservative policy and research unit in Westminster.